Ant Financial Services Group today officially unveiled an innovative economic index that tracks the performance of some of China’s largest online retailers as well as the health of the country’s increasingly consumer-driven economy by incorporating big data from e-payments provider Alipay. 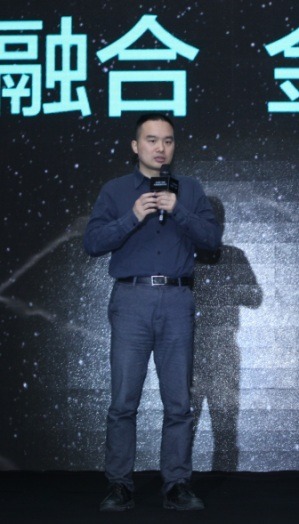 Operated in a partnership between Ant Financial, Bosera Asset Management, Shanghai Gildata Service and China Securities Index Co., the CSI Taojin Big Data 100 Index is designed to serve the asset-management industry as a benchmark for measuring investment performance and as a vehicle for the creation of new, index-based investment products. The CSI Taojin Big Data 100 Index, which debuted in January, is made up of 100 A-share stocks from a range of industries including household durables, leisure equipment, textiles and apparel, hotels and restaurants, food and staples, retailing, food and beverage and personal care. These constituent companies are active online retailers whose sales are tracked via Alipay, China’s largest e-payments provider and a subsidiary of Ant Financial. Instead of tracking just the share-price movements of representative companies as many stock-market indexes do, Shanghai Gildata Services analyzes Alipay online sales data in real time and combines it with offline financial data on constituent companies to keep the The CSI Taojin Big Data 100 Index continuously updated. This attribute is expected to make the index–the first of its kind in China–an accurate, timely indicator of the health of China’s e-commerce sector and a much-watched barometer of Chinese consumption. Consumer spending is becoming an increasingly important driver of economic growth as government policy shifts from investment-and manufacturing-led growth to what is thought to be a more balanced economic model that includes greater reliance on domestic demand. China’s total e-commerce market, including wholesale and retail trade, reached RMB 13.4 trillion ($2.2 trillion) in 2014. The establishment of widely followed financial indices like the Dow Jones Industrial Average and the S&P 500 is considered to be important to the development of China’s financial industry and crucial to the creation of index-based investment products. Bosera Asset Management today announced that it will launch two financial products based on the CSI Taojin Big Data 100 Index, making them available to individuals and SMEs on Zhao Cai Bao, Ant Financial’s online sales platform for third-party financial institutions. Ant Financial is a related to Alibaba Group, China’s largest e-commerce company and owner of the giant Taobao Marketplace and Tmall.com shopping websites.